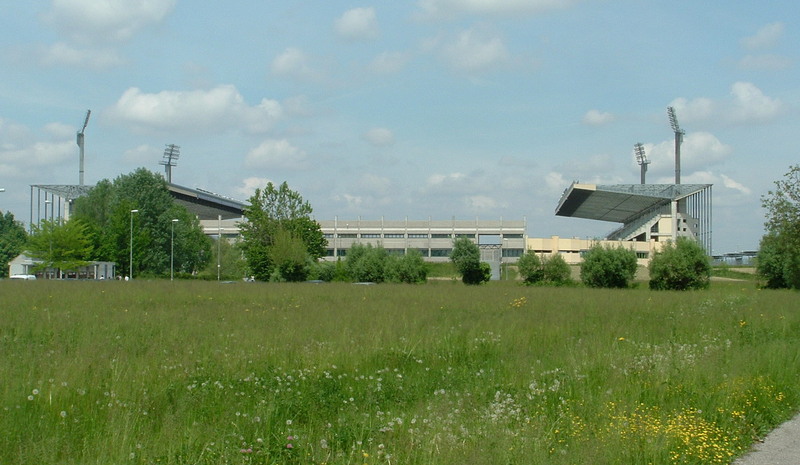 Stadio Euganeo opened in March 1991. 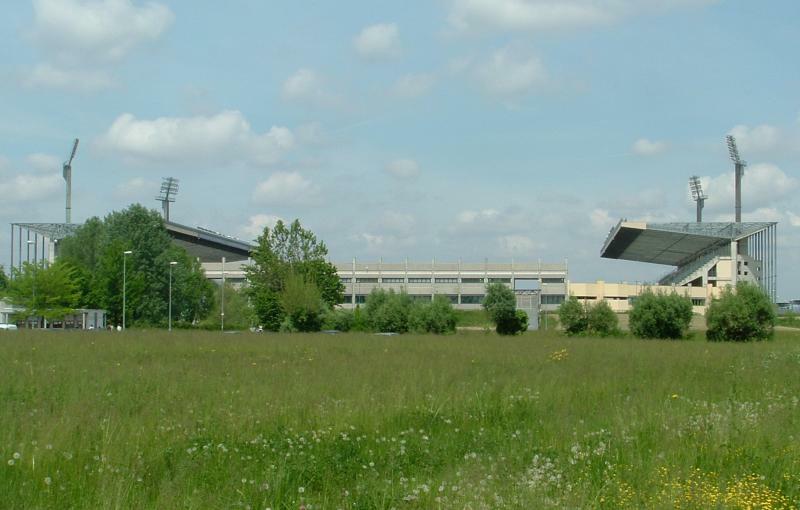 It replaced Padova’s old Stadio Silvio Appiani that had been the home of the club since 1924. The official capacity of Stadio Euganeo is 32,420, however this is significantly reduced for football matches due to safety requirements. Stadio Euganeo lies on the north-western outskirts of the city of Padova (Padua), just outside the city surrounded by farmlands. The distance from Padova’s historic centre and main rail station is slightly less than 4 kilometres. Due to its location, the stadium is slightly off the public transport map. The closest bus stop is Montà 96, which is served by line 11. Take the bus, direction Capolinea Due Palazzi, from the Via Giotto, just south of the station, or from Reviera dei Ponti Romani in the historic centre. The journey takes about 6 minutes. Stadio Euganeo lies outside of the city of Padova and is surrounded by farmlands. The (not-so-dense) outskirts of Padova start a 10-minute walk south of the stadium, and a little further, on the Via Montà, you will be able to find the odd café, bar, and restaurant. Still, eating and drinking is best done in Padova’s historic centre. There are no hotels particularly close to Stadio Euganeo, though the well-rated B&B Casa Camilla is just at walking distance (20 minutes, but inconvenient). It would have been closer if it wasn’t separated from the stadium by a motorway. Hotel Patavium and Hotel Milano are in the east of the city, and, if you’re in the mood, are a half-an-hour walk away from the stadium. The city centre is a little further away, and boasts many more hotels, which you can browse through here. Tickets for Padova games can be bought online via Ticketone, at the branches of Cassa di Risparmio del Veneto bank, or at one of the Ticketone sales points, which include the Coin Ticketstore at the Via Altinate 16 (historic centre) and the Tabaccheria Polizzotto at the Via Montà 157 near the stadium. Ticket are also available at the ticket windows of the stadium on the day of the match. Padova rarely sell out in Serie B. Ticket prices typically range from €15.00 for a seat at the curve to €40.00 for a central seat at the main stand. Email biglietteria@padovacalcio.it for more information. Padovacalcio.it – Official website of Calcio Padova. Turismopadova.it – Padova tourist information. APSHolding.it – Padova public transport information.